Alleged narco-politician Mayor Mariano Blanco who was shot dead in the early hours of this morning. Gunmen stormed the town hall in Ronda, about 50 miles southwest of Cebu City, and shot dead alleged narco-politician Mayor Mariano Blanco. Investigating police officer Dionisio Tagupa said Blanco was sleeping inside his office when the assailants shot him at about 1.30am this morning (Wednesday, September 5). Two watchmen who were on duty outside the building described how four men arrived in a white van, pointed their guns at them and ordered them to drop on the ground. “After a second, a burst of fire was heard from the mayor’s office and then after, the unidentified persons left,” said Tagupa. He said the employees then went to the mayor’s office and found the bloodied body of Blanco. His killing comes seven months after his nephew, Ronda Vice Mayor Jonnah John Ungab, was gunned down outside Cebu City courthouse. 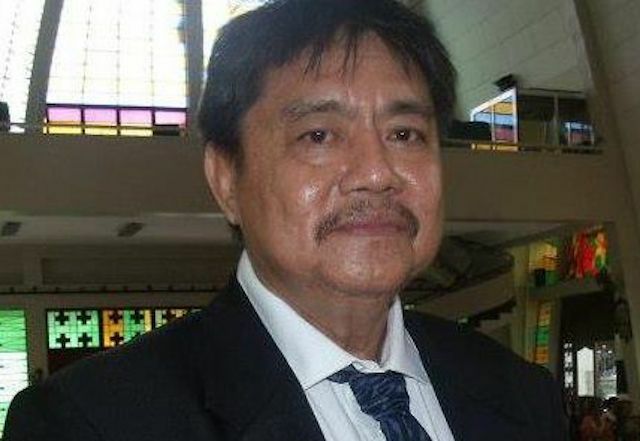 Ungab, a lawyer, served as legal counsel to self-confessed drug lord, Kerwin Espinosa. In 2016, President Duterte accused Blanco of being a narco-politician. Since then he has taken care to vary his routine, including by sleeping in his office from time to time. In a previous interview, the 58-year-old mayor said: “I’m afraid I might be assassinated. I just hope that they will understand that I am never involved in illegal drugs. Last November, the National Police Commission stripped Blanco of his supervisory power over local police due to his alleged involvement in the drug trade. Under the terms of this order, Blanco could not choose the town’s chief of police, inspect police personnel or exercise any other functions related to the local police. Napolcom spokesman Risty Sibay has previously explained that only the president could reinstate the mayor’s authority over the police. He also said the president had received “intelligence reports” that Blanco was involved in the drug trade. Blanco first served as a town councillor in 1995 before before elected mayor in 1998. He held the position for nine years. In 2007, the term limit forced him to run as vice mayor. He won the ballot. Then, in 2010, the Liberal Party candidate was again elected as mayor of Ronda, repeating his success in 2013 and 2016. Investigations into his killing continue.